Fade to Gray is a very short essay and one of the main reasons why the title is free for your enjoyment. 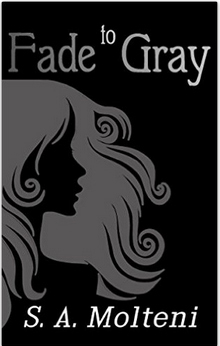 It is a hilarious account of one woman’s attempt to transition to gray as easily and as quickly as possible. From the decision to let Mother Nature be her hair colorist to the final “colorful” outcome, follow the author as she spends many funny and agonizing hours in the hair salon to get a “natural look”. This is one coming of (old) age story that will have you crying tears of laughter to the very last page.